How much can my business benefit from CRM? 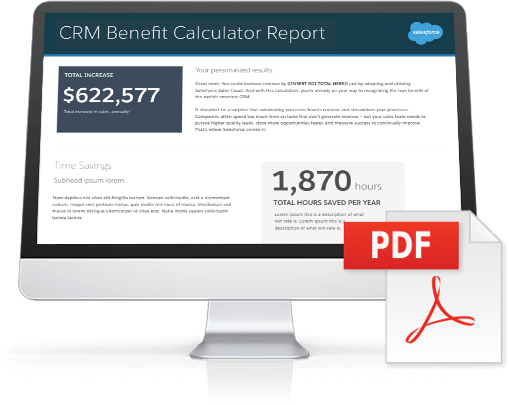 Find out just how much your business could benefit from Salesforce and CRM with this new benefit calculator built specifically for small and medium businesses. Just answer a few questions about revenue and reps, and the calculator will determine the hours you can save and additional revenue you can generate using Salesforce.